Officers & Directors - QCR Holdings, Inc.
President and Chief Executive Officer, Co-Founder, QCR Holdings, Inc.
Executive Vice President, Chief Operating Officer and Chief Financial Officer, QCR Holdings, Inc.
Todd A. Gipple is a Certified Public Accountant (inactive) and began his career with KPMG Peat Marwick in 1985. In 1991, McGladrey & Pullen acquired the Quad Cities practice of KPMG. 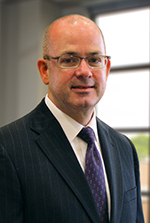 Mr. Gipple was named Tax Partner with McGladrey & Pullen in 1994 and served as the Tax Partner-in-Charge of the firm’s Mississippi Valley Practice and as one of five Regional Tax Coordinators for the national firm. He specialized in Financial Institutions Taxation and Mergers and Acquisitions throughout his 14-year career in Public Accounting. 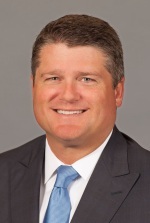 He joined QCR Holdings in January of 2000, and currently serves as Executive Vice President, Chief Operating Officer and Chief Financial Officer. 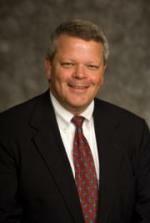 He also serves as a Director of Quad City Bank and Trust, Cedar Rapids Bank and Trust, and Rockford Bank and Trust. Mr. Gipple previously served on the board of directors and the Executive Committee of the Davenport Chamber of Commerce, United Way of the Quad Cities and the Scott County Beautification Foundation, and was a member of the original Governing Body for the Quad City’s “Success by 6” Initiative. 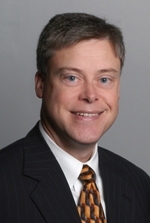 Mr. Gipple is the 2016 Chief Corporate Chair for the Quad Cities JDRF One Walk and also currently serves on the Audit Committee for the Community Foundation of the Great River Bend, the board of directors of SAL Family and Community Services, the board of directors of the Scott County family YMCA, and is a member of the American Institute of CPAs. We consider Mr. Gipple to be a qualified candidate for service on the board and the committees he is a member of due to his experience as the Chief Financial Officer and Chief Operating Officer of QCR Holdings and his prior experience as a tax partner in public accounting. Larry J. Helling was previously the Executive Vice President and Regional Commercial Banking Manager of Firstar Bank in Cedar Rapids with a focus on the Cedar Rapids metropolitan area and the Eastern Iowa region. 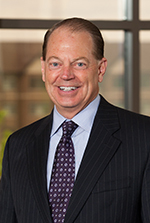 Prior to his six years with Firstar, Mr. Helling spent twelve years with Omaha National Bank. Mr. Helling is a graduate of the Cedar Rapids’ Leadership for Five Seasons program and currently serves on the board of directors and trustees of the United Way of East Central Iowa and the board of trustees of Junior Achievement. He is past President and a member of the Rotary Club of Cedar Rapids, on the board of the Entrepreneurial Development Center, and is on the board of Brucemore National Trust Historic Site. He also serves as a Director of Quad City Bank and Trust, Cedar Rapids Bank and Trust, and m2 Lease Funds. We consider Mr. Helling to be a qualified candidate for service on the board and the committees he is a member of due to his experience as the President of Cedar Rapids Bank and Trust, his past experience as an executive officer of Firstar Bank, located in Cedar Rapids, Iowa, one of our market areas, and his prior banking experience. 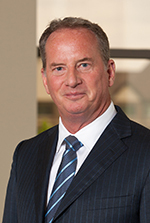 President and Owner, Peterson Genetics, Inc.
Timothy O’Reilly, is a partner in the law firm of O’Reilly & Preston, LLC. He is also the chief executive officer and managing partner of O’Reilly Hospitality Management, LLC, which he helped launch in 2007. 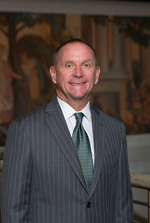 A Missourian Award recipient in 2017, Mr. O’Reilly has helped lead O’Reilly Hospitality to numerous industry awards in the areas of guest service, sustainability, community outreach, design & construction, and operations excellence under the Marriott, Hilton, IHG, Choice, and Houlihan’s Restaurants franchise flags. Mr. O’Reilly is a graduate of Westminster College and University of Missouri-Kansas City School of Law. President and Chief Executive Officer, Quad City Bank & Trust / Chief Deposit Officer, QCR Holdings, Inc.
Executive Vice President, Chief Legal Counsel, Trust Officer, QCR Holdings, Inc.
Peter is responsible for administering trust and estate accounts and also serves as Executive Vice President and Chief Legal Officer for QCR Holdings, Inc. 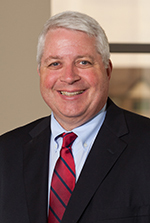 Prior to joining the Trust Department, Peter served as a partner at the law firm of Lane and Waterman LLP with offices in Davenport and Moline. 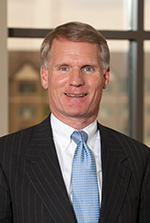 Pete has more than 32 years of legal experience and his areas of expertise include tax and estate planning. 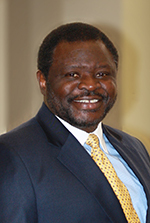 He received his undergraduate degree from Northwestern University and his law degree from the University of Iowa. Pete has been active in the local community and most recently completed his tenure as a board member of the Moline Foundation and the Junior Achievement of the Heartland. Pete currently serves on the governance committees of the Quad City Chamber of Commerce, Genesis Health System and the Figge Art Museum. 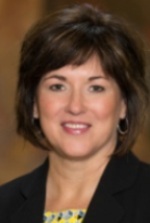 Stacey Bentley has been with Community Bank & Trust since its beginning 16 years ago. 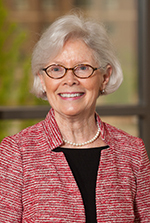 With over 30 years of banking experience, Ms. Bentley was previously employed by Norwest Bank, Iowa, N.A. in Waterloo, where she was Vice President and Consumer Banking Manager. She was also employed with MidAmerica Savings Bank in Waterloo, Iowa as Vice President and Regional Manager. Before joining Mid American Savings Bank, Ms. Bentley was Assistant Vice President at Peoples Bank and Trust Co. in Waterloo, Iowa. Ms. Bentley is currently on the Community Bankers Council for the American Bankers Association and has served on the board of Iowa Bankers Association. 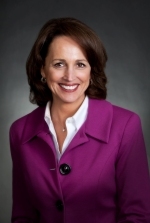 She currently serves as a foundation board member for Allen Hospital, Hawkeye Community College and KBBG Radio. 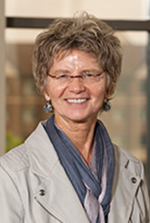 She is incoming chair for the Cedar Valley Chamber of Commerce, current chair for Blackhawk Grundy Mental Health and past chair and current member of the board of Exceptional Persons Inc. She is a member of the Waterloo Downtown Rotary, Women in Philanthropy and Friends of University of Iowa Health Care. Previously she served as board chair for Western Home Retirement Communities and Junior Achievement. 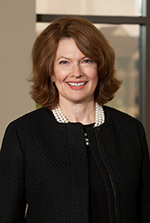 In addition, Ms. Bentley has co-chaired the American Heart Association Heart Walk and served on the Iowa Bankers Association Management Committee and Leadership Advisory Board. 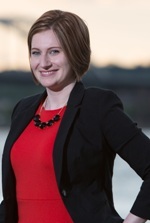 Ms. Bentley has been recognized as a recipient of the Waterloo/Cedar Falls Courier Top 20 Under 40 Award and as Iowa’s Rising Star in Banking Award in 2000. Tom leads the execution of Rockford Bank & Trust’s operations and strategic plan. Tom began his career in Asset Based Lending with Barclays Business Credit and CIT Group in Chicago. 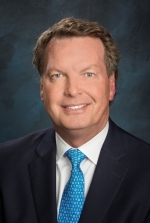 In 1991 he started his banking career with Bank One in Rockford, most recently serving as First Vice President and Manager of a Commercial Banking division that focused on mid-sized businesses in the Rockford metropolitan area. Tom is a graduate of Northern Illinois University earning a Bachelor’s Degree with a double major in Accountancy and Finance and the Graduate School of Banking at the University of Wisconsin. In 1988, he earned his CPA designation. He is active in the community and serves on the Board of Rockford Health System and is the current Chairman of their Audit Committee. In addition, he also serves on the Board of Milestone, Inc. and their Finance Committee as well as on the Board of the RLDC (Rockford Local Development Corporation). With over thirty-four years of leadership experience in the financial services industry, Cynthia is responsible for all operations, customer support, investment management oversight, and planning for all products and services offered within the Wealth Builders Division. The Wealth Builders Division includes Trust Services, Investment Center and Financial Planning services. Cynthia is active in various Quad City organizations including the Figge Art Museum. Richard W. Couch joined m2 Lease Funds LLC in 2008 as the Chief Operating Officer and is currently serving as President & COO. Rich has over 25 years of experience in various senior management and sales roles in the equipment finance, commercial banking, and correspondent banking industries, including 13 years with M&I Corporation. He earned both his MBA and Bachelor’s degree in finance from Northern Illinois University. John Engelbrecht is the founder and Chief Executive Officer of m2 Lease Funds LLC. He has been in the equipment leasing industry since 1975. John has presented numerous seminars and training programs for both private industry and professional organizations. He has served on many boards of directors and has been active on many non-profit committees including the Equipment Leasing Association and the Eastern Association of Equipment Lessors. John attended Edgewood College, Madison, Wisconsin, Keller Graduate School of Management, Chicago, Illinois and is also a graduate of the Lease Institute, Graduate School of Business, Columbia University, New York, New York. Rob is a well-known banking professional, having worked his entire banking career in the Springfield, Missouri area. 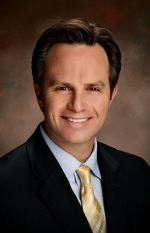 He is deeply involved in the local community, serving as vice-chairman of the board of directors and chairman of finance for CoxHealth, and as trustee of the board of directors for Breast Cancer Foundation of the Ozarks. Rob is also very active with his alma mater, serving on the Missouri State University Foundation Executive Board and the College of Business Executive Advisory Board. Additionally, Rob serves on the board of directors for the Springfield-Branson National Airport. In 2016, he was a recipient of the Missourian Award, an honor given to him for his outstanding contributions to the State of Missouri in the fields of civic leadership and business. Rob was also selected in 2018 as a member of the Biz 100 most powerful and influential business leaders in Springfield. Rob earned a BS degree in finance and banking at Missouri State University. 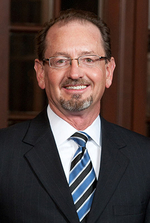 Kurt currently serves as President, Chief Executive Officer and Director at Community State Bank (CSB). He joined CSB in 2017 as President and assumed the position of Chief Executive Officer in August 2018. Kurt has held various relationship management and leadership roles with regional banks located in Des Moines over the past several decades. 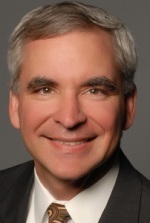 Most recently, he served as the Vice President of Commercial Banking at Wells Fargo and prior to that, as Market Manager and Director at Bank of the West, both located in Des Moines. Kurt is a graduate of Coe College, where he received a bachelor’s degree in Business Administration. He is also active in the community and is involved in many community and professional organizations, including Greater Des Moines Partnership, Rotary Club of Des Moines, Robert Morris Associates, Alzheimer Association and Ankeny First United Methodist Church. Elizabeth A. Grabin, CPA, joined QCR Holdings, Inc. in 2007 and utilizes over 14 years of extensive banking, risk management, and accounting experience as she manages the accounting function, including both internal and external financial reporting. She also leads the accounting function with respect to mergers and acquisitions. Beth holds a Bachelor’s degree in Accounting from Northern Illinois University and is a graduate of the University of Virginia Darden School of Business – Executive Program in Bank Financial Leadership and the Quad City Leadership Academy. She is active in the community and volunteers for the Lead(h)er and Big Brothers Big Sisters of the Mississippi Valley. Currently, she also serves as the President-Elect of the Junior League of the Quad Cities’ Board of Directors. Senior Vice President, Chief Risk Officer, QCR Holdings, Inc.
As Senior Vice President, Director of Risk Management at QCR Holdings, Inc., Shawna is responsible for Enterprise Risk Management, Vendor Management, Internal Controls, Compliance, and Corporate Governance. She has over 19 years of banking experience and holds a Bachelor’s Degree from Concordia College in Moorhead, MN and a Master’s Degree from North Dakota State University. President and Chief Executive Officer, Cedar Rapids Bank & Trust / EVP, Chief Lending Officer, QCR Holdings, Inc.
Anne Howard develops human resources policies and programs for QCR Holdings, Inc. She is responsible for all areas of human resource management including hiring, orientation, onboarding, employee relations, compensation, benefits, and organization development. Anne joined QCR Holdings, Inc. in 2009 and has over 16 years of Human Resources experience. She has a Bachelor’s degree from the University of Northern Iowa in Business Management and has obtained her SHRM – SCP designation. Anne has been active in several community organizations including United Way, Big Brothers/Big Sisters, and her local church. Christopher Lindell, Executive Vice President, Corporate Communications, Investor Relations, and Corporate Secretary, leads the execution of our corporate branding, marketing, and public and investor relations strategies. Prior to joining QCRH, Mr. Lindell served eight years as President, Chief Executive Officer, and Director of Guaranty Bank & Trust. Prior to Guaranty Bank & Trust, Mr. Lindell served as an executive with Alliant Energy where he was responsible for the Australasian investments/operations followed by corporate shared services including human resources, information technology, safety, facilities, and lean six sigma. Mr. Lindell holds a Bachelor of Science and a Masters of Business Administration from the University of Iowa. He is also holds a degree from the Graduate School of Banking (Madison, WI). Mr. Lindell is an active leader in the community, serving the Iowa Natural Heritage Foundation; Big Brothers Big Sisters Board of Trustees; and Marion Public Library Foundation Trustee. He also volunteers for United Way of East Central Iowa Foundation, the Greater Cedar Rapids Community Foundation, the African American Museum of Iowa, and Cedar Rapids Self Supporting Municipal Improvement District. As Executive Vice President, Chief Operations Officer & Cashier, John utilizes his 39 years of banking experience as he manages the funds and liquidity needs of Quad City Bank & Trust. He also oversees the Bank’s BSA/AML Program and wire transfer department along with dealing with the day to day facility maintenance and other various bank operation needs. 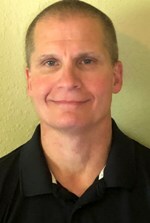 John holds a Bachelor's degree in Accounting and Business Administration from Augustana College and is active in the community as a Rock Island Evening Lions Club Member and Rock Island Girls Softball League Board Member. Monte oversees Commercial and Residential Lending, as well as, the Credit Department at SFC Bank, while also working with business owners to assist them with their financing needs. In addition to his day-to-day activities at the bank, Monte serves on the board of directors for SFC Bank. He is very active in the community, currently serving as a board member for Lost & Found Grief Center and Hickory Hills Country Club. Monte has served on numerous local community boards including the Springfield Area Chamber of Commerce and Discovery Center of the Ozarks. Monte received a BS degree in finance and an MBA from Missouri State University. Executive Vice President, Chief Credit Officer, QCR Holdings, Inc.
Dana Nichols serves as Executive Vice President and Chief Credit Officer for QCR Holdings, Inc. 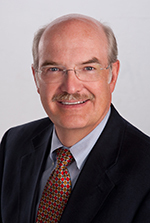 He is a graduate of Iowa State University and a 33 year veteran of the banking industry. 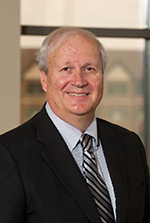 Mr. Nichols began his career as a bank examiner for 4 years and has subsequently spent the remainder of his banking career in a variety of Commercial Banking and Credit Administration roles. Mr. Nichols is a graduate of the Cedar Rapids Leadership for Five Seasons. He is past President and a member of the Cedar Rapids West Rotary Club, Vice President of the Cedar Rapids Kernels Foundation Board, a member of the Young Parents Network Board of Trustees and serves on the Czech Village New Bohemia Main Street District Finance Committee. 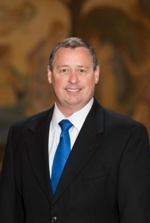 John R. Oakes, CPA joined QCR Holdings, Inc. in 2007 and utilizes over 15 years of extensive banking, auditing, and accounting experience as he serves as Treasurer helping efficiently manage the Company’s balance sheets including the bond portfolios for all three subsidiary banks. 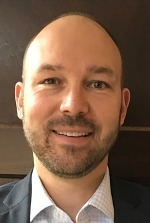 He holds a Bachelor’s degree in Accounting from University of Northern Iowa and is a graduate of the Graduate School of Banking at the University of Wisconsin. He is active in the community and has served on the Board of Directors (as Vice Chair of Finance from 2005 to 2014, and as Chairman in 2015) and as a Lunch Buddy for the past 10 years for Big Brothers/Big Sisters. 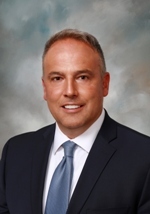 Executive Vice President, Deposit Operations and Informational Services, QCR Holdings, Inc.
John Rodriguez is Executive Vice President and Chief Operations Officer. His responsibilities are broad and include overseeing operations and treasury management services. John is a graduate of the University of Northern Iowa and has more than 30 years of banking experience, including positions in virtually every area of bank operations and treasury management. John received the distinction of Certified Cash Manager in 1990, and he is the past President of the Eastern Iowa Cash Management Association. John is widely regarded as one of the most knowledgeable experts in the area of bank operations and treasury management. John currently serves on the Board of Tanager Place, Fellowship of Christian Athletes, and is past President, current Trustee member, and Big Brother for Big Brothers Big Sisters. He has also served on committees for the United Way, Mount Mercy University, and the March of Dimes. Executive Vice President, Chief Investment Officer, QCR Holdings, Inc.
Rand is responsible for the Investment Group, which provides portfolio management for QCR Holdings, Inc. - affiliate bank trust departments and for each bank's portfolio, formulating investment strategies and managing client accounts. 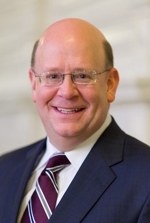 Prior to joining Quad City Bank & Trust in 2000, he acquired 13 years of investment experience, serving most recently as Chief Investment Officer for USBANCORP Trust Company (now AmeriServ Financial) in Johnstown, PA. Rand earned the Chartered Financial Analyst designation in 1991. He received his undergraduate degree from Bethel College in St. Paul, MN. 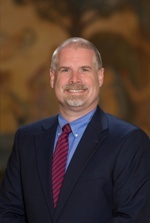 Senior Vice President, Chief Information Officer, QCR Holdings, Inc.
Michael is responsible for providing technology, project delivery and business application management services and developing and executing the Information Technology strategic plan. Michael has over 20 years of experience in Technology Management positions with 14 of them being in the Financial Services industry. He received his Bachelors Degree in Computer Science from St. Ambrose University in Davenport, Iowa. Michael is currently involved in the Technology & Operations Committee for the IBA. As Vice President Deposit Operations, Beth utilizes over 30 years of banking experience to manage the back office deposit functions for each bank. These responsibilities include ACH processing, internet banking support, debit cards, file maintenance, new products and projects for each entity. Beth volunteers her time with her local church, the Rockridge Community food basket distributions, and the community wide Vacation Bible School. As 1st Vice President, Loan Operations Manager, Pam Goodwin is responsible for managing the Loan Operations and Loan Quality areas. 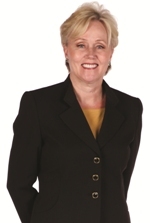 Pam joined QCR Holdings, Inc. in October of 2006 and has over 30 years of banking experience. She has previous experience in Consumer, Real Estate and Agricultural Lending and as a Branch Manager and Compliance Officer. Pam is active in the community as a Big Brothers Big Sisters and United Way volunteer. With 30 years of banking experience, Tim is responsible for the internal audit, loan review and regulatory compliance audit programs for QCR Holdings, Inc. Tim has been a board member of the Geneseo Chamber of Commerce, Geneseo Growth and Development, Genseo Community Chest, and a volunteer for Geneseo Performing Arts Council. He presently volunteers for United Way and Toys for Tots. 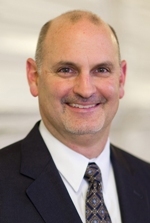 Todd Kerska is Senior Vice President and Senior Operations Officer, with a wide range of responsibilities for the organization including Deposit Operations and Product Management. 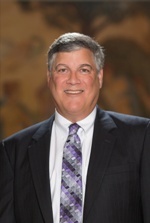 Prior to joining QCR Holdings, Inc., Mr. Kerska served eight years as Chief Financial Officer of Guaranty Bank & Trust and has a total of 21 years banking experience. Mr. Kerska holds a Bachelor of Science in Accounting from Upper Iowa University. He also completed the Graduate School of Banking in Operations and Technology at Vanderbilt University, Iowa Bankers Association Compliance School, and Integrity Integrated Leadership Development Program. Mr. Kerska has served as Treasurer and board member for both the Cedar Rapids Public Library Foundation and WRAP, and has volunteered with other organizations such as YMCA and the Catherine McAuley Center. As Vice President, Enterprise Business Transformation Services, Jill is responsible for leading initiatives to streamline processes and information flow to improve company-wide operational effectiveness and efficiencies. 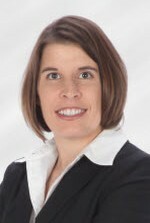 With over 12 years of experience in insurance, finance, and business process improvement and rapid continuous improvement, Jill is an exceptional resource for QCR Holdings, Inc. She earned her Master of Business Administration degree from St. Ambrose University, Bachelor of Science in Business from Upper Iowa University and Associates Degree in Computer Science from Scott Community College. As Senior Vice President, Retail Banking/Cashier, Nichols leads the Community State Bank (CSB) retail division in expanding and retaining customer relationships, developing and supporting new retail products, as well as directing the Bank’s retail growth initiatives. 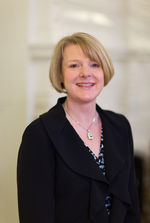 She works closely with deposit services on customer service and data security. She also oversees BSA/Security and Facilities. Kathy has held numerous positions during her banking career, and has been promoted six times since joining CSB in 2001. Prior to joining CSB, she worked for Allied Live Oak Bank in Texas and First Federal Bank in Washington. She also owned and operated her own business for 11 years. Kathy is a board member and the Treasurer of the Johnston Partnership for a Healthy Community. She mentors students through the Johnston Youth Mentoring Program and volunteers with the American Cancer Society, Muscular Dystrophy Association, United Way and Salvation Army. Nichols has been actively involved in financial literacy initiatives, including Money Smart Week and Teach Children to Save. In addition to attending Des Moines Area Community College in Ankeny and Del Mar College in Corpus Christi, Texas, Nichols earned a BAI Retail Banking diploma from the University of Wisconsin and has numerous banking certifications. Shellee R. Showalter began at Quad City Bank & Trust in 1994 as Controller and Director of Human Resources and Technology, and currently is responsible for the Compensation programs for QCR Holdings and its’ subsidiaries, as well as oversees Stockholder Relations for QCR Holdings. She graduated from St. Ambrose University with a Bachelor’s degree in Accounting and is a Certified Public Accountant. In 2004, she received the Quad-Cities Area Leaders Under 40 Award. Shellee currently serves on the board of the Junior Board of Rock Island, and is a past board member of Girl Scouts of the Mississippi Valley, Community Health Care, Inc. and United Way of the Quad Cities. As Senior Vice President, Director of Compliance, Tonia oversees the compliance program for QCR Holdings, Inc. and works with management to implement regulatory policies, procedures and quality control to ensure compliance with applicable banking regulations. In addition to earning her Certified Regulatory Compliance Manager (CRCM), Certified Community Bank Internal Auditor (CCBIA), and Certified BSA/AML Professional (CBAP) designations, Tonia brings over 16 years of banking and compliance expertise to our organization. She is a graduate of Iowa State University and is active in the community with the Boy Scouts of America and her local church.